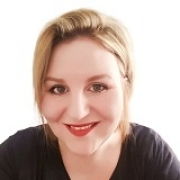 Hi I’m Emma, I’m passionate about helping you to reclaim your inner peace, I’m interested in exploring any issue you bring, I specialise in you, just as you are. Perfectly imperfect if you are anything like me. Specialities : Abuse, Parenting, Anger management, Anxiety, Phobias, Bereavement, Depression, Relationship issues, Spirituality, Stress, Work-related issues, Mourning. I’ve been where you are, wanting help to feel better, feeling vulnerable and wanting to reach out. I scrolled through dozens of counselling profiles to try and find my best fit, and luckily for me I did. I made the call and hung up three times! Yes three, I was that nervous! One thing that the people I work with tell me is that it’s much easier to talk to me than they were worried it would be. That first big leap of faith is huge, as illustrated by my merry dance of false start phone calls to my counsellor years ago. If you make that leap of faith and connect with me, what can you expect? I'm a qualified counsellor ( I bet you guessed that already) so without further ado, let’s just be two regular people talking to one another. You can expect the real me, I listen, I care and sometimes I might know some tools and tips I can share with you to get you some quick traction. We can need traction/help in so many areas of our life; relationships, work, the way we feel about ourselves and so much more. For example, when working with anxiety and overthinking, a metaphor that I like to use is that worry can feel like a worry washing machine, going round and round. I learned a fantastic strategy to press pause on that worry washing machine, to gain some very much needed relief. If your worry washing machine is on an endless final rinse I would love to share this technique with you too! We can discuss anything that you would like to; we just find our groove and let it flow. Whether you are looking for a safe space to unload some weighty worries, or you want to dig deeper into a problem that has always held you back and now it feels like the right time to break yourself free, today could be the day. I’m passionate about helping you to reclaim your inner peace, I’m interested in exploring any issue you bring, I specialise in you, just as you are. Perfectly imperfect if you are anything like me. If your Mojo has gone missing in action, or you feel like the sparkle and shine of you has been dimmed, I would love to hear from you. Whilst I cannot promise you the sunshine, I will gladly walk with you in the rain. My mum regularly tells me "nothing ventured, nothing gained" maybe for a lot of us there is some truth in that, here's hoping for a wonderful and liberating adventure.